We are happy to say that The WiC Project has somewhat of a global presence. While most of you are from the US, we also get visitors from Canada and such exotic locations as Australia and Italy! 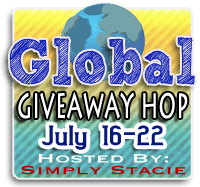 In honor of our worldwide readers, we are participating in the Global Giveaway Hop, hosted by Simply Stacie! 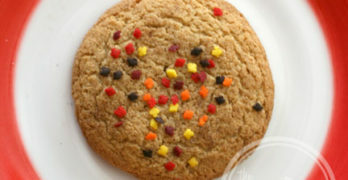 In this hop, every participating blog will have a giveaway that is open wolrdwide! One winner will receive $15 cash via PayPal! Giveaway ends at 11:59 PM EST, July 22, 2012. This is open to eligible contestants WORLDWIDE! Enter these other great giveaways! All open WW! I’d love to go to Norway, or Italy! Would love to go to Australia! I’m a third generation American and I’d really love to go back to where my family’s from for a while (Ireland). I would love to take a train trip up through British Columbia and the Canadian Rockies. I also want to go to France but I do need to learn French first. My dream vacation destination is Amsterdam, Holland – Thanks! i’d love to go to disney world! Anywhere I can see and swim in an ocean. I would like to go to Ireland someday. My husband and I would love to go to New Zealand. They have a ton of outdoorsy things to do and it is so beautiful. I’d go anywhere that is tropical, private, and not raining/storming. I would love to go on a cruise with my family. I would love love to go to Italy! I would love to visit South Korea. I want to go to Rome and Greece – so a European vacation would be my dream! I want to go to Seoul. Austrailia, I’d love to go! Currently it’s a cross between Paris/Copenhagen/London/Helsinki..etc and the Galapagos. Europe, especially France and Italy! I’d like to go to the Carribean. My dream vacation would be someplace tropical. My dream vacation destination is Italy. I want to sight see, eat amazing food and spend some quality time with the boyfriend. I would love to go to Ireland and Scotland. I’d love to visit the Wisconsin Dells for vacation. Thanks. I’d love to go to Kauai. I’ve always wanted to take a Caribbean or Hawaiian cruise! I would love to visit the Maldives or any other exotic place. I’d like to go to Peru! Disney’s Aulani resort in Hawaii! I would love to go to Thailand! I’m dreaming of US Disney Land! Disneyland! My guy has never been there! If I can use a whole continent- Europe! Australia – scuba, hiking, whitewater rafting, outback .. so much to do and the people are wonderful! Right now I’m obsessed with going to Spain. Hawaii, the Caribbean or the Bahamas. I would love to see New Guinea. I’d like to visit Finland. id love to go someplace tropical i aint picky:P maybe Fiji or something! Hawaii!!!!! Thank you for a great contest and the chance to win!! Of the places I have not been, umm Machu Picchu, then Mt Kilimanjaro, then Ireland. Hey – I can’t do following on pinterest entry because your pinterest account got blocked. Just saying. Id love to go to Fiji! I would love to go to Tuscany! 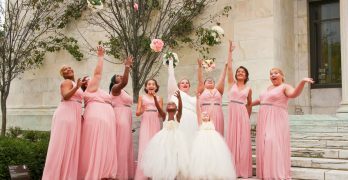 I would lobe to go to Italy..
Disney World for 10 Nights followed by a 7 night eastern carribbean cruise on the Disney Fantasy visitng St. Thomas and St. Maartan!! On the beach somewhere in Florida sounds SO NICE for my family. I would love to go to Fiji or India. I’d like to see every state in the USA. I want to walk the Camino de Santiago starting at the Taize Community in France. I love vacationing in Nashville, Tn. I want to go on a photo safari in Africa (Kenya or Tanzania, probably)! I want to take a road trip out west. Myrtle Beach, North Carolina, I would love to go for a week or two. Tours, France! Its my favorite city! Egypt is my dream vacation. I would love to see the great pyramids! I’d love to go to Greece. I’d love to visit Australia and New Zealand. Australia – with my DH of course! my dream vacation would be on oahu, hawaii! I would love to go to Tahiti! My dream vacation is a gorgeous mountain cabin in October. Would love to visit Australia ~ thanks. New York, just love the energy of this city! i’d love to go to australia! I would love to go to Italy or Greece! Thanks for this amazing giveaway – I would love to win! I would love to go on a African Safari. We would love to go to New Zealand. An African safari sounds fun! I would love to go to Scotland – Thanks! i really want to visit england sometime. Disneyworld! yes, I’m still a kid at heart! Love to see the Northern lights. I’d love to go to London! I really want to go out to Washington DC to do the full tourist tour since the only time I have ever been to DC was when I was trying to secure security clearance. All I really got a chance to do was walk by the White House. My dream vacation destination is my unseen birthplace, Taipei, Taiwan 🙂 *Thanks* for the giveaway! Mine is Chicago. Even though I’ve been there like 10 times, I still love it more than any other place I’ve been. There are so many places I want to visit – Asia, Alaska, Russia and Poland and…everywhere is my dream vacation destination!! Spain is my dream vacation destination! austirlia the great barier reef. I’ve always wanted to go to Buenos Aires, Argentina! Strange as it may sound, mine is Siberia! I would LOVE to see that country! Hawaii. I could visit my brother and sister there too. I would love to go to Poland! The Galapagos Islands! And I WILL get there someday!! Luv to go to Hawaii. Taking my kids to Florida and going to Disney World and Sea World. I would love to go to New Zeland. I want to go to Weirs Beach New hampshire! My dream vacation is a complete tour of the British Isles. All paid ofr cruise of the world. My dream vacation destination is Tokyo, Japan. Anywhere I can relax with a good book and a nanny! My dream vacation is traveling to the Fiji Islands with husband AND my grown children and their families! My dream destination is South Africa. I’ve been there twice but I want to return. Its a tie, really! Either on a cruise of Alaska, or to visit the Pyramid’s in Egypt. I’d love to go to the Galapagos Islands. I woudl love to go to Hawaii. I would love an all inclusive vacation to Antiqua!